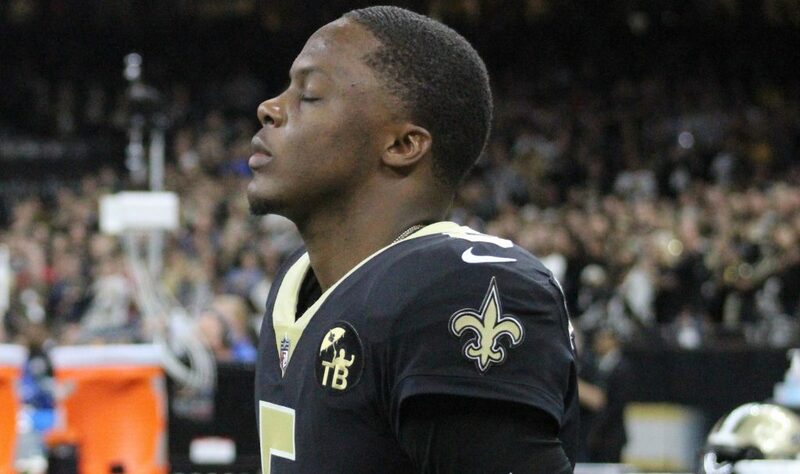 When the New Orleans Saints resigned talented 27-year old backup quarterback Teddy Bridgewater last month with the idea that he’d eventually become the “heir apparent” to starting #1 QB Drew Brees, a majority of the team’s fans were pleased that the organization had aggressively addressed one of the biggest questions about its future after Brees is gone. However, as the old saying goes: “where there’s smoke, there’s fire.” Now, for the second time since resigning Bridgewater, the team has reportedly worked out or visited with two well-known college quarterbacks who could compete for that role as part its yearly preparations for the upcoming 2019 NFL Draft. With the resigning of Bridgewater to a one-year deal ($12.5 million with $7.5 of it fully guaranteed), it’s widely been assumed by most analysts and observers that the Saints have their backup quarterback already in place – not only for 2019, but to take over the reins of the team when once Brees is gone. But these reported visits/work-outs of both Grier and Thorson would seem to indicate that Bridgewater (the former #1 draft pick of the Minnesota Vikings in the 2014 NFL Draft from the University of Louisville) isn’t guaranteed of remaining in that position on a long-term basis. Is it a sign that perhaps the team isn’t completely “sold” on the idea of Bridgewater as the future starting #QB of the franchise when Brees is gone? That would appear to be the proverbial “million dollar question,” although the players that they’ve allegedly looked at would seem to suggest the answer has two very distinct possibilities. West Virginia QB Will Grier is considered one of the top signal-callers in this year’s somewhat below-average QB class overall and is a player that one can clearly envision as a potential “heir apparent” to Brees. The other passer, University of Northwestern (Chicago) QB Clayton Thorson is seemingly a player who more likely projects to be a career backup at the next level, but who still possesses starting-caliber potential. A full-time starter for the West Virginia football program for the past 2 seasons after transferring from the University of Florida, the 24-year old Grier has shown the variety of QB skills that are needed to be successful in Sean Payton’s high-octane offense. Last season, Grier turned in the best performance of his entire career as a senior for the Mountaineers, as the Davidson, North Carolina native completed 67 % of his passes for 3,864 yards, 37 TD’s and only 8 interceptions. Ironically because of his size (6-foot-2, 220 pounds), Grier has drawn comparisons to Brees and Cleveland Browns rookie QB Baker Mayfield. Much like Brees specifically, Grier isn’t exactly considered the most physically-gifted of athletes at the QB position. But what he does bring to the table (like Brees and Mayfield) is a high-level field IQ and awareness, along with the capability to throw the football with timing, touch, and most importantly, accuracy. Think about this much: Grier is a young man that accomplished several impressive feats as a QB in high school (Davison Day High School), including breaking the national record for passing yards in a game at 837 yards; the old record was 764. As a senior in 2013, he had nearly 5,000 (4,989) passing yards for the season with a jaw-dropping, nation-leading (and state of North Carolina record) 77 touchdown passes and was named both the Parade All-American Player of the Year and Mr. Football USA. Amazingly, in his high school career with the Patriots at Davidson Day, Grier tallied a whopping 14,565 passing yards and a state record 195 touchdown passes, along with 2,955 rushing yards, and 31 more rushing touchdowns on the ground. Not surprisingly, Grier was offered a handful of different scholarship invites from several prominent top college programs including Auburn, Arkansas, Florida, North Carolina (thought to be his first choice), Tennessee, and Wake Forest before he ultimately chose to play for the University of Florida. Unfortunately for Grier, after redshirting and sitting out his initial freshman year with the Gators in 2014 and seeing some backup duty during his redshirt freshman season of 2015, he received a 1-year suspension from the NCAA in October of that year after he tested positive for PED’s (performance-enhancing drugs), specifically for the drug known as Ligandrol – an over-the-counter supplement that Grier stated he wasn’t aware had been banned. 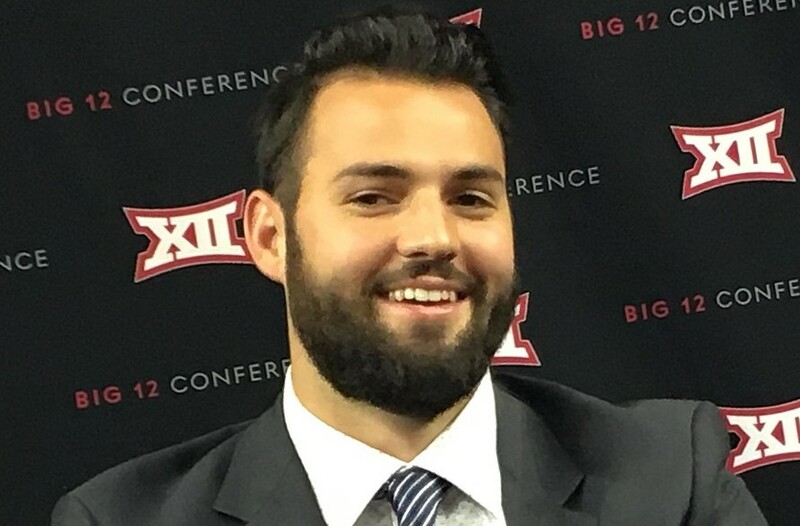 The following year in 2016, Grier was forced to sit out per NCAA rules before he decided to transfer to the West Virginia, where he quickly established himself as the leader of the Mountaineers’ offensive attack under head coach and noted offensive “guru” Dana Holgorsen. Following a breakout 2017 season during his junior year that was unexpectedly cut short by a broken hand, Grier began his 2018 senior campaign in Morgantown by coming out and “firing on all cylinders” in a season-opening Week #1 against the University of Tennessee (5 TD passes, 429 passing yards, and a 73.5% completion rate) and hasn’t looked back since. Grier ended up with the stellar senior-season stats (3,864 yards, 37 TD’s, 8 interceptions) and for the length of his entire college career as both a Gator and a Mountineer, threw for a combined 8,556 yards, 81 TD’s, and 23 interceptions, with a 65.7% college career completion rate. But where Grier really put himself “on the map” in recent weeks for NFL scouts was at the 2019 NFL Scouting Combine earlier last month at Indianapolis. There, he wowed onlookers with his impressive throwing capability (especially on deep-ball passes of 50 yards or longer). Grier then followed that up with reports from several prominent observers which included ESPN Insider Adam Schefter that he “put on a show” during West Virginia’s Pro Day on March 21st, where his very notable performance blew away several teams that were in attendance (including team representatives from New Orleans) which further increased his quickly-rising draft stock. The Draft Network Analyst Kyle Crabbs says that Grier is an exciting passer who has shown great flashes of accuracy, down-field aggressiveness, and the unique capability to extend plays, but he’s still a bit too erratic to be consistent. Crabbs notes that Grier is at his best when his first “read” is available, which lessens the time that he needs to hold on to the football. Crabbs adds that by going to a quick-passing NFL offense (and one that’s very similar to Sean Payton’s as fate would have it), it might help to alleviate some of Grier’s still-lingering mechanical issues within the pocket and allow him to eventually “find his rhythm” as a complete all-around passer. Given his smaller physical size, Grier could certainly stand to gain a few pounds (something that some NOLA-style cuisine could help out with) and would definitely benefit from entering into an NFL weight and conditioning program, but nevertheless would appear to have “star” caliber potential as a future starting QB in the League within a few years. Granted, the Saints might need to move up a bit from their current #62 overall selection in Round 2 — which is actually their first pick in the draft because of last year’s trade with Green Bay for Marcus Davenport — to even have an opportunity to select Grier. However, he also might just be the perfect candidate to run Payton’s offense behind Brees for a year or two, before becoming the eventual “heir apparent”, In two and half more weeks from now, we’ll see if that was actually the case or not. The second of the two QBs that the Saints have reportedly met with or worked out since re-signing Bridgewater isn’t nearly as polished of a player at the QB position that Grier is, but he’s still a talented performer in his own right. The 6-foot-4, 225 pound Thorson was a former Rivals 150 recruit coming out of North High School in the Chicago suburb of Wheaton, Illinois. There, he earned 1st team Illinois All-State honors as a senior in 2013. Thorson received offers from several top programs in the “Power Five”/major Division 1 conference (SEC, ACC, Big Ten, etc.) schools but ultimately decided to remain close to home and accepted a scholarship to play for the Chicago-based University of Northwestern football program. After sitting out his first season at Evanston in 2014, Thorson very quickly emerged as the team’s starting QB as a redshirt freshman in the 2015 season. While his numbers weren’t all that impressive, (1,522 passing yards, 7 TDs, and 9 interceptions), he still managed to lead the Wildcats to a (10-3) win-loss record and set the school record for most wins ever by a Wildcats QB in his first-ever debut season. It would be in 2016 as a sophomore when Thorson initially began getting noticed by NFL scouts. He threw for 3,182 yards while setting a Northwestern single-season school record 22 TD passes with 9 interceptions, and eventually was recognized as an honorable mention for the All-Big Ten team as a result. As a junior in 2017, Thorson once again led the Wildcats to a (10-3) season and became the school’s winningest QB in program history, but unfortunately, he tore his ACL in the Music City Bowl. Thorson was able to successfully rehab in time to for his senior season in 2018, and while he threw for a career-high in passing yards (3,183), his production dipped somewhat as he only passed for 17 TDs. However, he showed everyone that the knee was, in fact, fully healed, as evidenced by the fact that he scored an additional nine TDs on the ground as a runner, and as a result finished his career as the only QB in the history of the Big Ten Conference to throw for at least 10,000 yards and run for 20 touchdowns. While Grier seems to be the more “pro-ready” QB of the two, the fact that Thorson played in a pro-style offense for the Wildcats under long-time Wildcats head coach Pat Fitzgerald means that Thorson has NFL-caliber skills. But it would be quite the stretch to think that Thorson’s passing skills are on the same level as Grier’s are. That doesn’t mean that Thorson won’t be as successful, but his odds are certainly much longer; in spite of the reports that Thorson had an outstanding performance at Northwestern’s Pro Day back in mid-March (which presumably was exactly what the Saints were trying to determine by having him work out for them in person). But the biggest knock on Thorson by most observers (and undoubtedly by most NFL scouts) is his lack of arm strength and his inability to test defenses vertically deep down the football field. Thorson’s biggest critics quickly point out that Thorson relies way too much on making reads at the line of scrimmage, and he hasn’t been able to master the art of manipulating or moving defensive backs/safeties with his eyes. Additionally, his struggles with accuracy are a bit concerning, as is his high interception rate (45 interceptions in 4 years and a total of 15 of them just last season); which some see as an indication that his decision-making needs the mentorship of a QB “guru” who can refine Thorson’s raw but moldable skill-set into a legitimate pro quarterback. The Draft Network Senior Analyst Joe Marino says that Thorson has the ability to hit ‘rhythm’ throws and illustrates a quick trigger to be proficient in a West Coast offensive passing scheme that features timing throws. But outside of that, he feels that Thorson is a limited prospect in key areas of quarterbacking/passing skills which include his progressions, ball placement, arm strength and most important of them all: handling pressure when the pocket around him collapses — and the capability to make “snap”, spur-of-the-moment decisions that the elite-caliber QBs can make naturally. As a comparison for Who Dat fans, how many of you remember Tom Savage, the godawful #3 QB that prompted the Saints to trade for Bridgewater last preseason in the first place? Think of Thorson as a younger but only slightly better version of Savage, which means it’s probably unlikely that he ever ends up in the Black and Gold. Bottom line: Marino feels that Thorson can someday become a decent #2 back-up QB but that major growth is needed for him to last in the NFL for any extended length of time. Thorson shouldn’t have too much trouble learning and running a high-octane, complex offense like the one that’s utilized by Payton and the Saints offense; but his severe lack of arm strength likely will make it difficult for him to ever become a permanent starter.